The traditional meter is known as an ‘analog meter’, is mechanical in nature and shows clock like dials on its face. The appearance of smart meters differs from the traditional meter in that displays are digital. There are no dials. However the utilities also have a type of meter that is digital and that does not use radio waves. Whether these meters should be classed as ‘smart meters’ is an open question. The answer would depend on whether these meters have the ability to record and store granular usage data. It should also be borne in mind that once a new style digital meter is installed the capabilities of that meter can be upgraded at any time just by plugging in an upgrade module. In some cases the capabilities of the ‘meter’ can be upgraded by remote control. The utility sends a signal to the meter to ‘turn on’ new capabilities after the original install – and after they have told you what the meter does or does not do! To be secure against the new surveillance technology it is necessary to keep your analog meter or to get it back if it has been taken from your home. Post a very conspicuous sign right next to your meter stating “I DO NOT CONSENT TO THE REPLACEMENT OF THIS METER WITH A SO CALLED ‘SMART METER’. Write a letter to your utility company stating that your refuse to accept a ‘smart’ meter’ installation on your home – and that your refusal is based on health, safety and privacy factors. Send the letter by certified mail, return receipt. Write a letter to your utility company stating that you will not have a ‘smart meter’ or upgradeable digital meter on your home. Point out that the meter was installed without your knowledge or consent. Demand its removal and the return of an analog (mechanical) meter. Give the utility a reasonable amount of time in which to comply with your demand (suggest 14 days). If the meter has not been changed within this time period and no one has contacted you to set a date certain when your meter will be restored, we think you are entitled to resort to self-help in defense of your property, your privacy and your health and safety. Self help would consist in you purchasing an analog meter (they are available online at very reasonable cost) and arranging with an electrician or other qualified person to remove the smart meter and install your own analog meter in its place. Do not do this yourself if you lack electrical knowledge or experience. There is a risk of electrocution, damage to meter socket or burns from sparks if this procedure is not done correctly or if proper protective clothing is not worn. If you replace your own meter be sure to record the last reading on the smart meter, the initial reading on your own meter, and notify the utility the same day that you have done this. In cases where people have done this the utility often will send someone out very quickly to replace the homeowner’s meter with an analog meter of their own design. Video – How to replace your own meter, with appropriate cautions, and information on where to buy an analog meter. Click here. Try this simple “Smart Meter Blocker” kit. Replacing your smart meter with an analog meter you purchased may still leave you with dirty electricity on your home wiring caused by the smart meters installed on your neighbor’s houses. To resolve this problem you may need to purchase and install Stetzer filters. ..and I agree with the low freq. BUT! some people are very sensitive to any freq! They don’t use cell phones, microwaves, or even tv, nothing!! Because they will get headaches, or other temporary health problems. But they are forced to use this Smart Meter!? That should be illegal. Money is the root of all evil, and DTE will be saving $65 million annually. The OPT out program will cost me they say? Well it didn’t cost me for you to install this smart meter! and for the last 4 decades of my life, you coming out to check my meter was already included in my bill! Now you want to charge another $10 to OPT out!!? LEGAL CROOKS GETTING RICHER! That’s the bottom line! These bandits want to kill all of us, using a perfect weapon called smart meter. Why perfect: it is silent, it is powerful, does not smell like a gas, it is just perfect. It is an electromagnetic machine gun, which shoots 24/7 thousands of electromagnetic bullets called impulses. If people won’t weak up to stop these criminals, there will be a tragedy, all of us will die like flies, and very soon. Tony, I have encountered a number of people who feel as you do. It is not the viewpoint of this website however. We think what is behind all this is the New World Order crowd and Agenda 21 and that the purpose of it all is to be able to monitor and control how people use energy in their homes and businesses and ultimately to be able to regulate people’s lifestyles. These are the purposes at the governmental level. For the utility companies the purpose is to comply with government programs and to make a ton of money doing that. At neither level is the purpose to kill people, though this program will surely be a severe hardship for electro-sensitive people immediately and will likely, in the long run, increase the incidence of cancer and neurological illnesses for many more. The attitude of the utilities is likely parallel to that of the tobacco companies for so many decades. Both industries knew of the potential dangers of what they were pushing but were willing to ‘look the other way’ as long as it was profitable to do so. I have reference to the card I recently received in the mail informing me of your intention to install a so-called “Smart Meter” to replace my existing analog meter. Please be advised that I am satisfied with the performance of my analog meter and have no concerns regarding its impact on our health, safety, and privacy. Inasmuch as I do have those concerns regarding the Smart meter, I will refuse to accept a ‘smart’ meter’ installation on our home until such concerns have been fully and appropriately addressed. In this regard, I believe it is prudent to await legislative action on House Bill 4315 that enables residents to decide if they want a smart meter or if they choose to stay with a traditional utility meter. 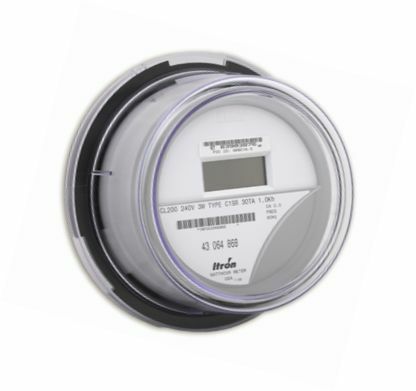 Proceeding with installation of a smart meter before the legislature has acted on this bill is likely to lead to waste, should the bill become law and analog meters have to be re-installed. How the electric utility intends to recover the cost of an opt-out program, if one will exist. Once the legislative and administrative processes have been completed, I will be in a much better position to decide how to proceed regarding the Smart Meter issue, especially with respect to health, safety, privacy, the existence of an opt out program, and the cost of such opt out. We must all stand together on this, whether the U.S, Canada or any other part in the world. We are being robbed of our right to choose. It is called “Freedom and Democracy”, which the powers that be, are all to happy to rob you from . Hydro is a business and they are not only willing to take complete control of your lives, but have you pay for it as well. High billing, invasion of privacy etc. etc. So why should we then pay taxes or even worry about our mortgages, our home will never be ours with that kind of invasion. So lets protect what we got. Our birthright “Freedom and Democracy”. In other parts of the world presently, they are willing to die for it. This is called ultimate control with devastating effects.. We must think of our future generations, the sick and elderly, also those whose pockets are wearing thin.from the high cost of these contraptions called meters.